WomenWeave are our beautiful fabric suppliers based in Maheshwar, India. They are a Non-Governmental Organisation supporting and developing the role of women in handloom weaving since 2002. 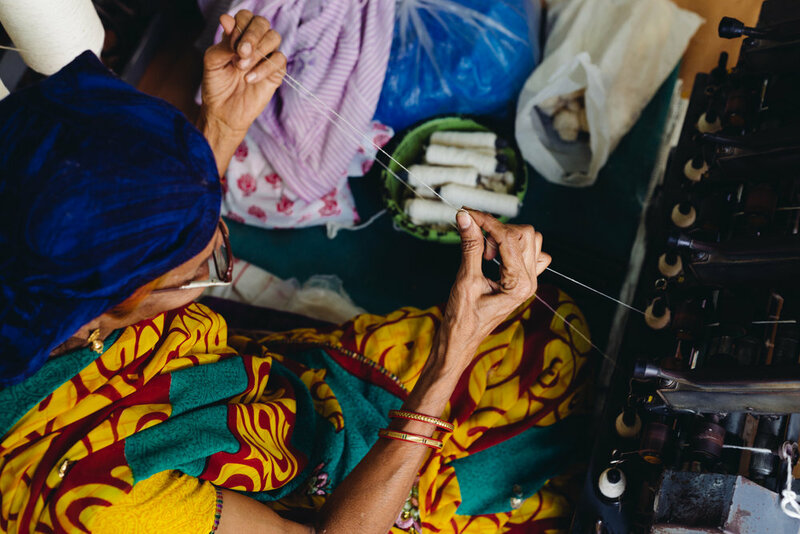 WomenWeave’s mission is to work towards overcoming the vulnerability of women who weave on handlooms and help them work towards making handloom a profitable and dignified income-earning and life-improving activity. 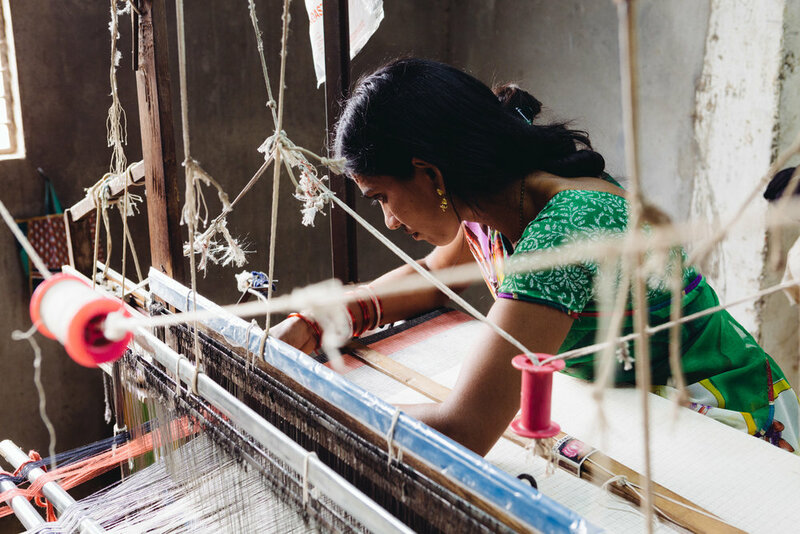 Handloom weaving is not only an important cultural treasure, it is also the second largest source of livelihood for the rural and semi-urban population of India. The fabrics are hand-spun, hand-woven and much of it is naturally dyed with environmentally-friendly processes. 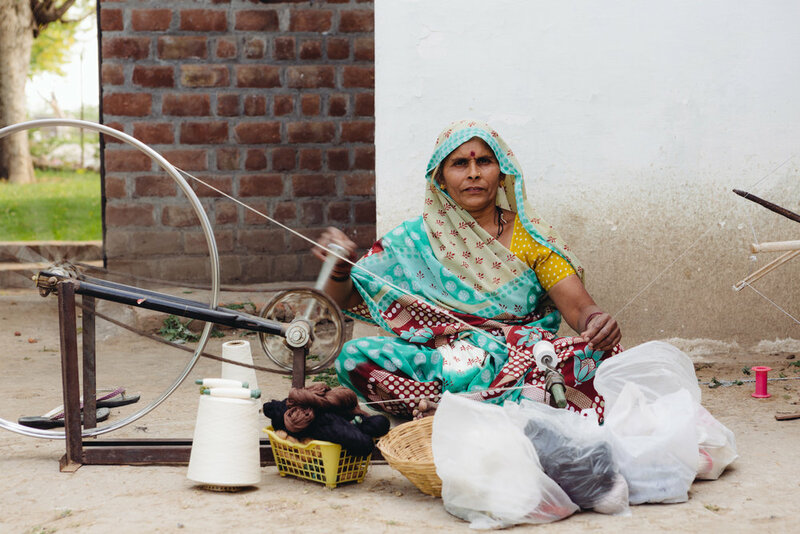 WomenWeave provides skills, training and organisational and design assistance to ensure a sustainable income and better quality of life in the area of spinning and hand-weaving local cotton. 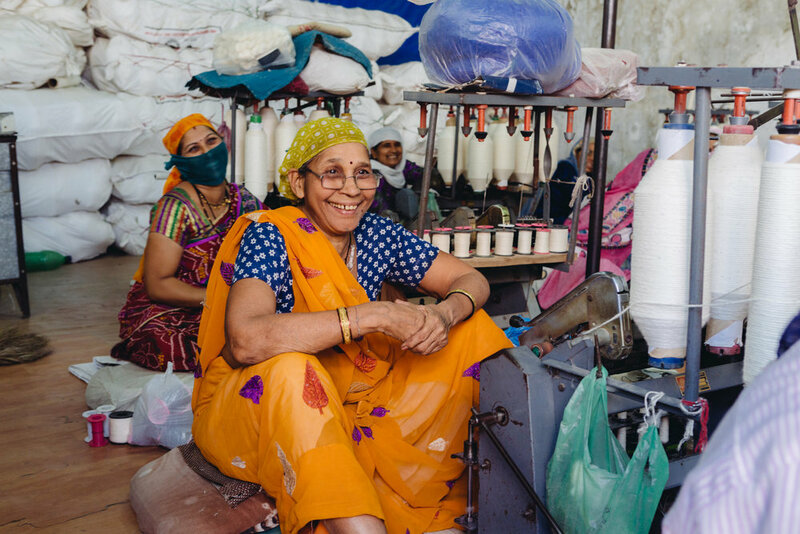 WomenWeave’s ultimate objective is to financially and technically enable the women to form collective business enterprises within a period of three years. WomenWeave share our philosophy of garment transparency. Acknowledging the importance of knowing every fine detail of a garments process, by respecting the people and environmental elements it touches along the way.